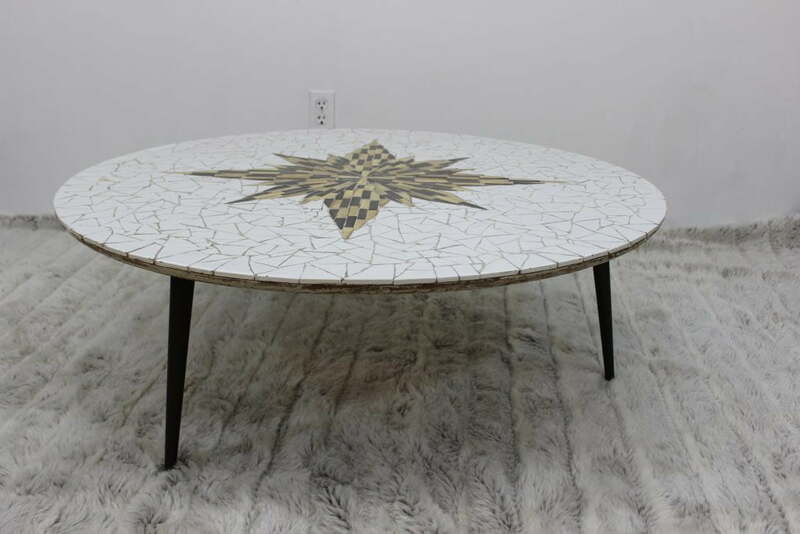 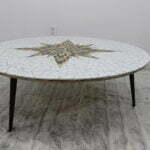 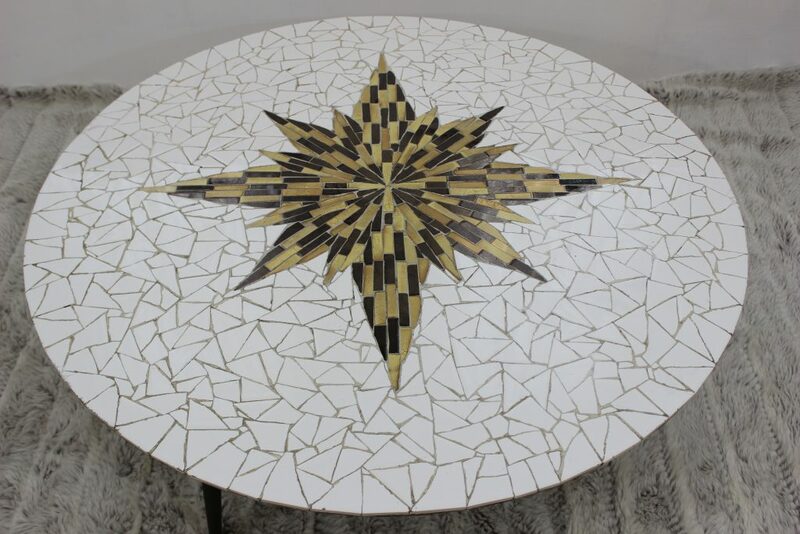 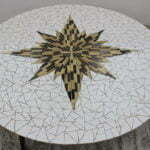 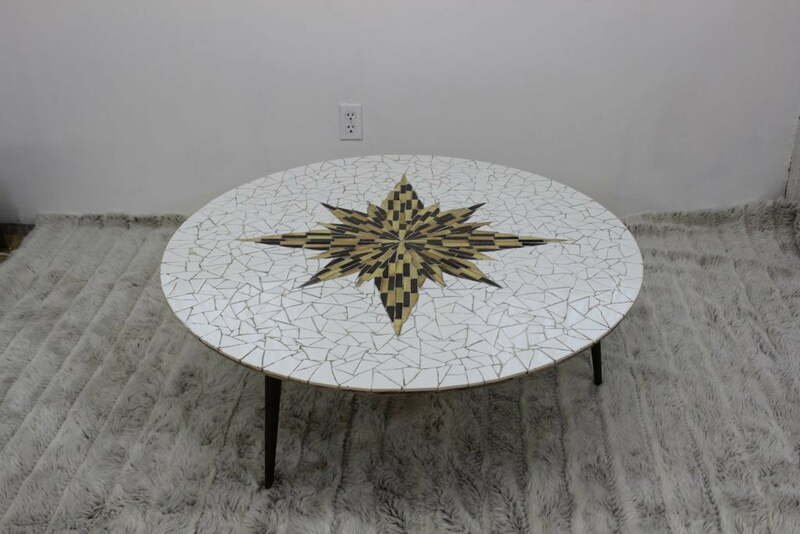 This beautiful table comes to you with a white tile top and a starburst detail on the center. 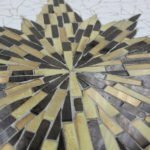 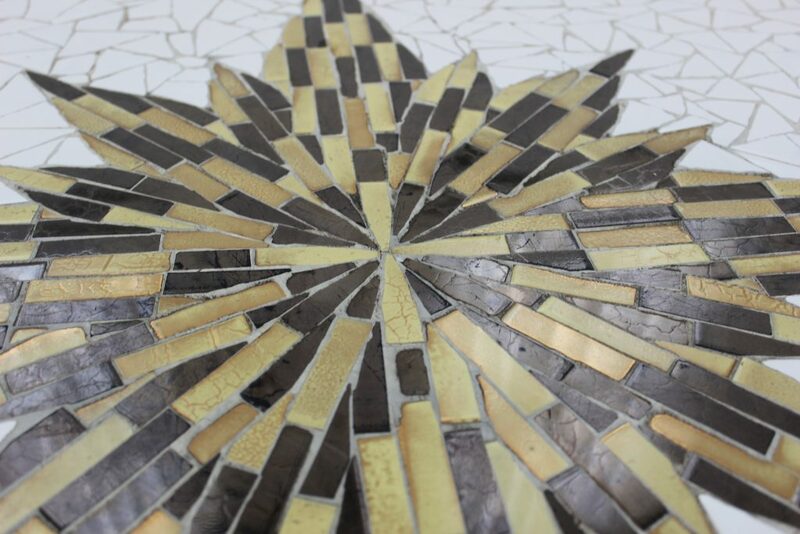 The tiles on the starburst are black and gold. 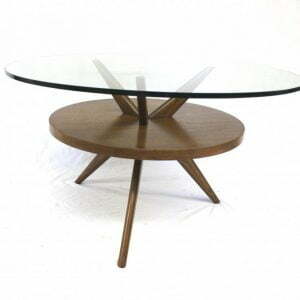 The table has three legs which make it very airy. 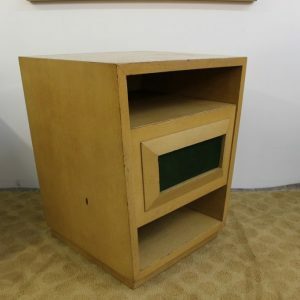 And it will make the perfect addition to any collection. 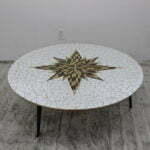 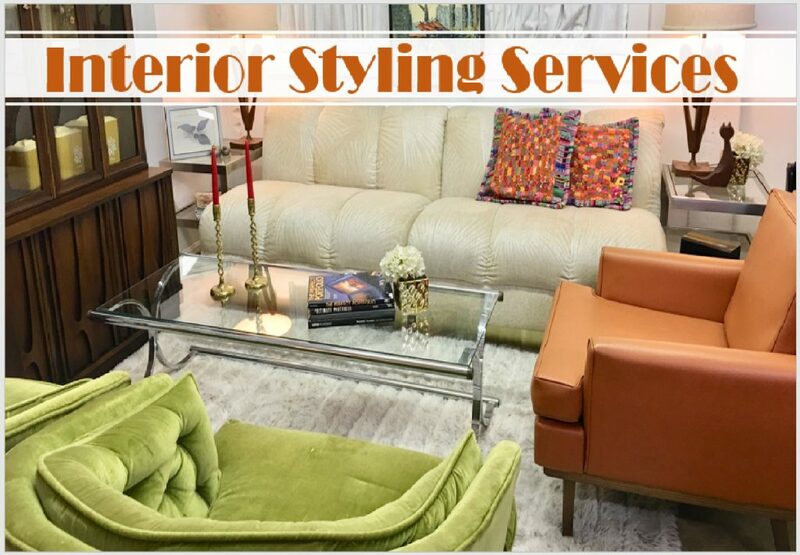 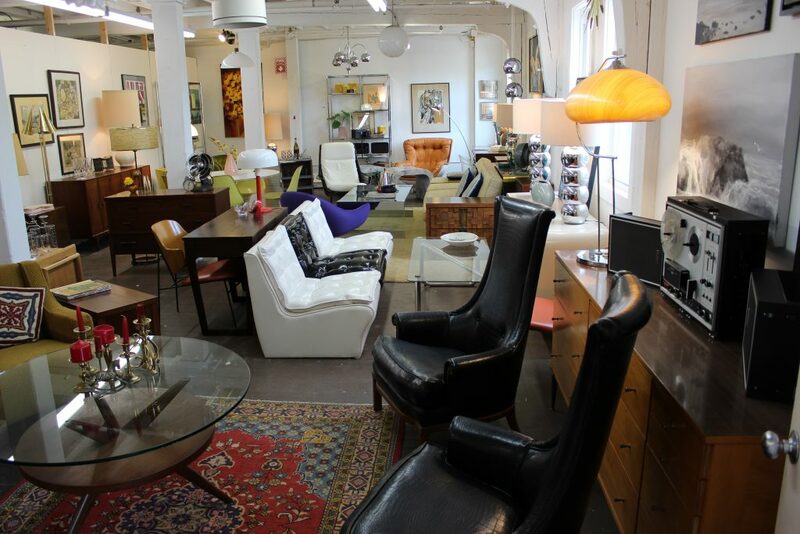 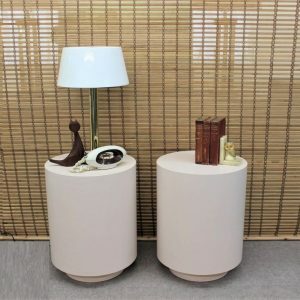 The round shape and the colors are very easy to pair up with any decor style and any living room. 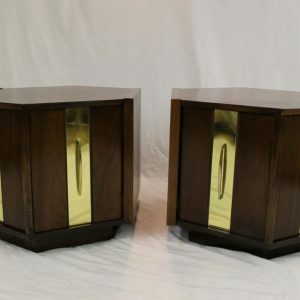 It measures 15″ high by 40″ diameter.